Your participation means an afternoon of free entertainment, food, community bonding, and interaction with important local businesses and community organizations. But most importantly, it means you’re demonstrating solidarity with the HIV/AIDS community. While HIV is no longer the death-sentence it was, there is still much work to be done to increase education and preventative measures, access to medication and care, and reducing the stigma surrounding the virus. The Albany Damien Center continues to grow in both staff and programs, and consistently strives to improve our impact within the Capital Region and with our members. The AIDS Walk & Festival engages a wide ranging audience of students, community members, and businesses. 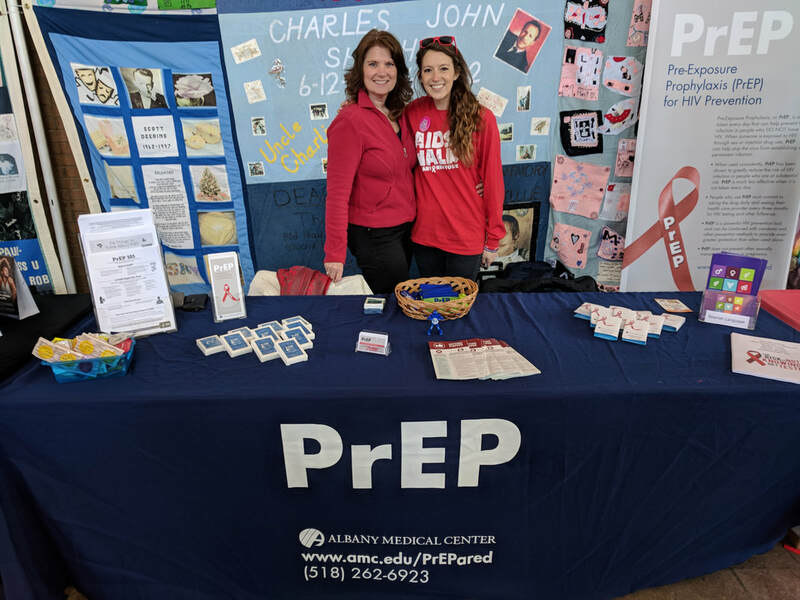 The driving purpose of the event attracts those living with HIV/AIDS and their families and friends, many of whom are LGBTQ and/or People of Color. Click here to register, fill in your information, and submit. You will receive an email with instructions to create your fundraising page, which can then be used to share across your social media platforms! Nope! Individuals can each register and create their own page, but if you choose, you may then join onto a team. Money raised from the AIDS Walk & Festival will directly support the Damien Center’s programs and members. Your support is crucial in providing tangible resources to our members and furthering our progress with improved health outcomes and reducing new infections. Share the registration link with them or invite them on Facebook! How Does the Scavenger Hunt Walk Work? Every attendee will receive a Walk sheet with questions. When walking around the lake, look for signage that will offer information to help answer the questions. Some may require checking out other aspects of the event as well. When you’re finished, show your Walk sheet to get your free lunch! (Accommodations made for those with limited mobility). The AIDS Walk & Festival is a rain or shine event! We’re hoping for the best. We plan to have hot drinks and outdoor heaters, if necessary.